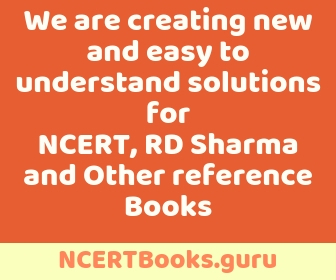 NCERT Exemplar Books have been specifically designed for students of classes 6 to 12 and stands out to be very important for students of classes 6 to 12. These books are developed by The National Council of Educational Research and Training (NCERT). These books serve as self-assessment books which let students analyse their own strengths and weaknesses. By solving NCERT Exemplar Books, NCERT Exemplar Books Class 8 Science contain various topics with varying difficulty levels, which lets the students explore various types of questions. Therefore, their logical and analytical skills improve. Students can download NCERT Exemplar Book Class 8 Science in PDF format. NCERT Exemplar Books are specifically important for CBSE Board Students since it follows CBSE Syllabus. Why NCERT Exemplar Book Class 8 Science? NCERT Exemplar Book Class 8 Science is considered important for students. Class 8 is considered an important level for starting preparation for Board exams. Thus, NCERT Exemplar Book Class 8 Science covers all the topics which help students to start learning about various anatomies. Therefore, practising NCERT Exemplar Science book will make them aware of various learning techniques as they will be solving a variety of questions. There are 18 chapters in NCERT Exemplar Book Class 8 Science. Each chapter has been divided into Multiple Choice Questions, Short Answer Questions and Long Answer Questions. The book has provided ample illustrations/diagrams with labels wherever required. It is because Science requires understanding the concepts well, rather than just memorizing the concepts. With detailed theory and diagrams, students understand the concepts really well. It is said that the base of every student has to be strong in every subject. NCERT Exemplar Book Class 8 Science prepares that base and make the students ready to face the upcoming Board exams. It also helps in attempting competitive exams with confidence. 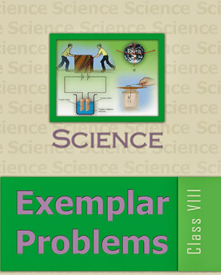 We have provided free download links for NCERT Exemplar Book Class 8 Science. The links are 100% authentic and free from spam/virus. Click on the desired link against the chapter name to download free PDF Solutions of NCERT Exemplar Book Class 8 Science.